Last year, as part of Adobe’s ongoing commitment to design and the AIGA San Francisco design community, I hosted a series of live Design Matters interviews with some extraordinary designers. Adobe taped them, and here are three little films created by the fabulous Rachel Talbot from Magnet Media. Every couple of years I go through a period of intense insomnia, and wrangle up all sorts of ways to coax myself to sleep. My most successful method to date is imagining that I am soaring backward thirteen billions years in time to the singularity we now call the Big Bang. Along the way, I pass unfamiliar galaxies and attempt to understand how they got there and what, if anything, inhabits the odd surfaces. I marvel in front of a black hole and infinitely float towards the event horizon, unable to move into or out of its gravitational pull. Time has stopped in front of this gorging vortex, and I am rendered paralyzed and mute by its power. By the time I finally fall asleep, I fantasize finding success in the discovery of one grand unifying theory of the universe, brashly bringing together Einstein’s Theory of Relativity and the science of quantum physics. This, of course, is rendered with no real education in science or math or physics, and by the time I rise the next morning, I have all but forgotten the nonsensical equations memorized on my mystical journey. Though severely obtuse in regard to all things scientific, it would be an understatement to say that I am fascinated by the theories of our origins. However successful as a tactic for eradicating sleeplessness, I can only wish I had even one shallow answer to the perplexing questions we face as a species. On my walk home, I passed billboards for the Will Smith movie, “I am Legend” and a new television show premiering on the History Channel titled “After People.” The campaigns for both the film and the series contain images of a post-apocalyptic Manhattan, and like Cloverfield, they feature familiar landscapes rendered wholly immobile by our demise. As I viewed the thorny, overgrown locations, I realized that somehow, in the six-plus years since 9/11, enough time had passed to now see these realistically horrific images as entertainment. Philosophers and scientists alike agree that if humans can imagine something, there is the distinct possibility that it can be manifested. As I observed the trifecta of imagery around me, I couldn’t help but wonder if we had either forgotten the horror of the past or if this horror had become so much a part of our reality that we now simply factor this into our forecast of the future. It is hard to tell. Why do we remember what we remember? Why do we forget what we forget? In the Harold Pinter play “Betrayal,” two ex-lovers recall a shared experience differently, and argue about who has the more accurate recollection. 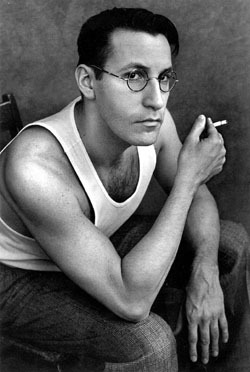 Pinter makes it clear that though each character’s memory is deeply engrained and staunchly believed, the validity of each memory is highly subjective. This is both a saving grace and a hindering happenstance in our humanity. Our memories, as frail or fierce or fabulous as they are, help us construct our realities, our identities, and our manifestation of the world around us. When they fail, our world fundamentally changes, and we cease to be what we remember or recognize. Our current reality is simply a collection of overlapping memories, some shared, some not. Each memory we have is cinematic as it gets swept up in the sequence of memories that precede and follow it. 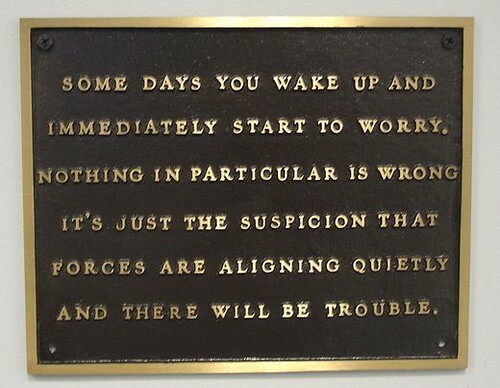 Sort of like the ultimate domino effect. The condition of our collective memory has now become the condition of our consciousness and our culture. Last Sunday night, I once again found myself suffering from insomnia. I lay in bed, tossing and turning, reliving the experience of Cloverfield, witnessing the falling buildings in slow motion, over and over again in my head, rewriting the ending, reconfiguring the storyline, re-dressing the wounds of the recollection. And then I stopped. Why was I doing this? Why was I putting myself through this? I had no idea. And I reconsidered. Rather than relive our destruction, why not embark on my ritual into the far reaches of the universe? For though I may not have even one answer to the questions that face both our civilization and our purpose here, I decided I would much rather obsess over our mysterious origins than be debilitated by our demise. It is Friday again! That means that Design Matters is live at 3 PM ET. 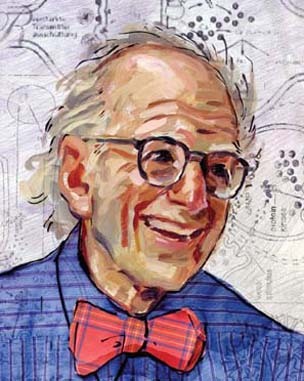 My guest today is the brilliant scientist, Eric Kandel. 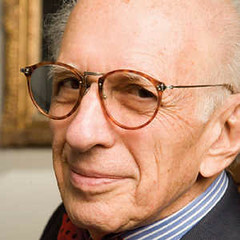 Eric Kandel is a psychiatrist, a neuroscientist and professor of biochemistry and biophysics at the Columbia University College of Physicians and Surgeons. He was a recipient of the 2000 Nobel Prize in Physiology or Medicine for his research on the physiological basis of memory storage in neurons. His other honors include the National Medal of Science, the Wolf Prize, the Gairdner International Award, the Charles A. Dana Award and the Lasker Award. Kandel has been at Columbia University since 1974, and lives in New York City. Eric Kandel is the author of In Search of Memory: The Emergence of a New Science of Mind (WW Norton), which chronicles his life and research. 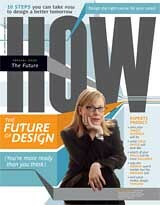 The book was awarded the 2006 Los Angeles Times Book Award for Science and Technology. This classic film, created over forty years ago by Charles and Ray Eames, deals with the relative sizes in the universe and the effect of adding another zero in spatial distances. The Eames' made this film for their client, IBM. Must have been a really interesting brief. I dropped my portfolio off at Condé Nast the moment after I graduated college, and somehow, miraculously, I got a call back to come in for an interview. To me, this was the equivalent of winning the lottery and I spent every waking hour prior to the interview agonizing over the contents of my “career wardrobe,” posing in outfit after outfit in an effort to ensure I would make the best possible impression. The outfits primarily consisted of the clothes my mother lovingly handmade as a graduation gift, and the morning of the interview I chose the royal blue bolero jacket, matching A-line knee length skirt, a beige faux-silk blouse with blue pin dots and a big, floppy bow in the front, sheer black stockings, and flat black patent leather loafers. I anxiously gazed at myself in the mirror before leaving my mother’s Queens apartment and took a deep breath. I knew that what happened next could change my life forever. As I sat on the cramped, balmy Express Bus into Manhattan, I fantasized befriending the Human Resources Director, being invited up to meet the design director of Vogue or Vanity Fair or Glamour, getting hired as his or her crackerjack assistant, working late nights and weekends, cavorting with the glamorous editors and art directors and designers and, of course, spending my entire career being fabulously successful at what I considered to be the best magazine company in the whole wide world. Alissa Walker, the Hildy Johnson of the design community, has posted one of her most impressive and heartfelt columns on Unbeige. 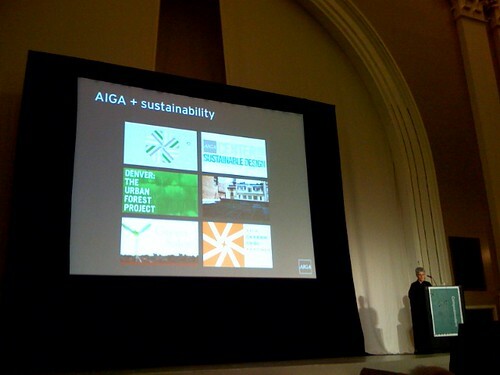 She covered the entire Compostmodern 08 conference this past weekend in San Francisco, and includes important coverage on The Designers Accord, presentations by Nike and Marc Alt, and awesome poetry by spoken word artist Dawn Maxey. A must read for anyone interested in living responsibly on our planet. 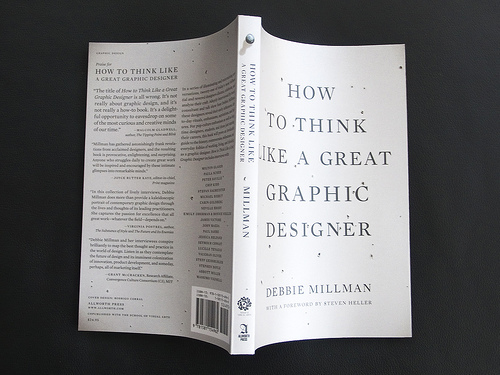 How To Think Like A Great Graphic Designer is going into a second printing! Thank you thank you thank you! Can you believe it? 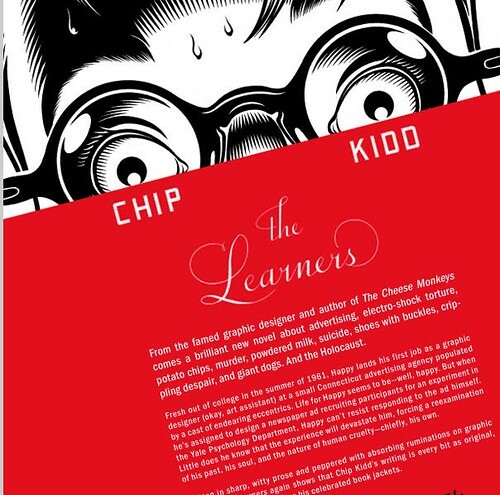 Design Matters is begins its Season Five Today at 3 PM ET with the most fabulous Chip Kidd. 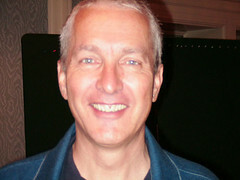 Chip Kidd is a writer and graphic designer in New York City. 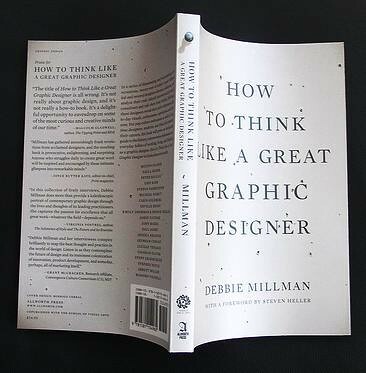 His book jacket design has spawn a revolution in the art of American book packaging and in 1998 he was made a member of the Alliance Graphique Internationalle. 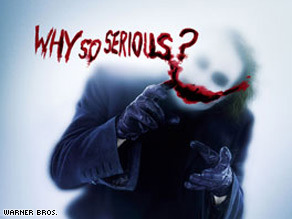 His first book as author and designer, Batman Collected, was given the Design Distinction award from ID magazine, and his second, Batman Animated, garnered two of the Comics Industry’s Eisner Awards, as did his 2002 book Peanuts: The Art of Charles M. Schulz. As an editor of books of comics for Pantheon, Chip has worked extensively with some of the most brilliant talents practicing today, including Chris Ware and Art Spiegelman. 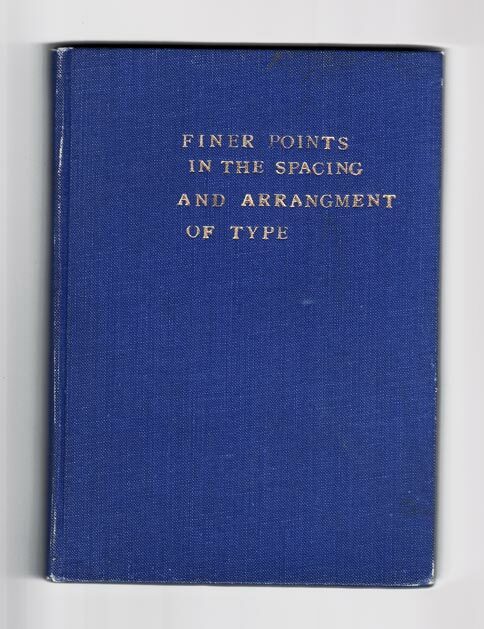 A comprehensive monograph of Kidd’s work, CHIP KIDD: BOOK ONE was published in 2005. The first edition sold out a week before publication and it has since gone into three consecutive re-printings. 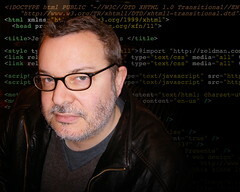 Kidd was awarded the 2007 National Design Award for Communications, and In the fall of 2006 his work was included in the Cooper-Hewitt Museum’s third National Design Triennial. 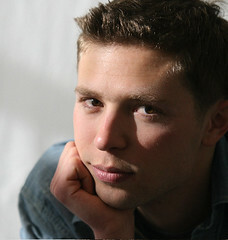 The Cheese Monkeys, Chip’s first novel, was published by Scribner in 2001 and was a national bestseller, as well as a New York Times Notable Book of the Year. It has recently been released in a new edition, restoring a previously cut scene and featuring a preview of his second novel, The Learners, to be published in just a few short weeks. Where will you be on Friday at 3? Please join me for the Season Five Premiere of Design Matters on the Voice America Business Network with the fabulous Chip Kidd! Precisely what the author had in mind, via the always wonderful Jonathan Hoefler at Hoefler & Frere-Jones. Consider this evidence of why I love Kottke. Geometry of Circlesis a series of unnumbered animation pieces that was created for Sesame Street in 1979 with music by Philip Glass. The shorts consist of the movement of six circles (each with a different color of the rainbow) that are formed by and split up into various geometric patterns. 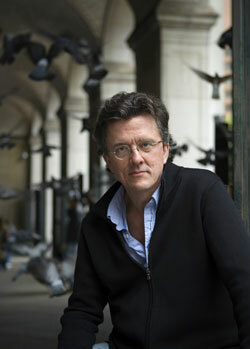 Glass's music underscores the animation in a style that closely resembles the "Dance" numbers and the North Star vignettes written during the same time period as his Einstein on the Beach opera. Totally, totally cool. Tonight I will be presenting my new lecture for the AIGA Cleveland chapter. 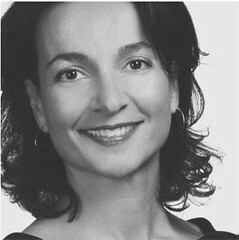 The presentation is titled Why We Brand, Why We Buy, and will provide a historical look at how we brand ourselves and the world around us, and how this influences the products we buy and why we live the way we do. Thursday, January 10, 2008 6 p.m. - 9 p.m.
Cocktails and light food from 6-7, lecture starts at 7 p.m.
Design Matters Season Five Launches on January 18th! In honor of National Poetry Month, we will be presenting an all poetry and prose show. A Design Matters first! 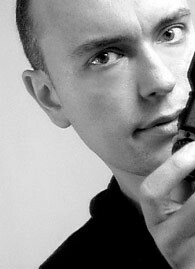 Graphic Designer and co-founder of the award-winning firm Ph.D., educator, and internationally acclaimed disc jockey. 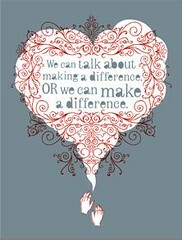 Thanks for listening and remember: We can talk about making a difference or we can make a difference or we can do both. 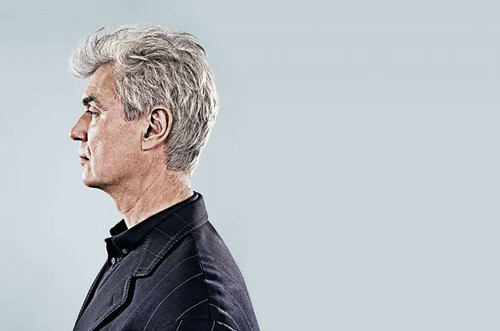 A fascinating, must-read article from Wired Magazine written by David Byrne on the past, present and future of the music business.